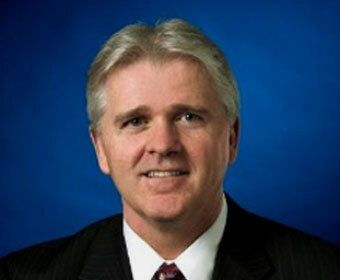 Bill Morrow, a former Vodafone executive, has been named as the new CEO of Clearwire. Ben Wolff, the man Morrow replaces, becomes co-chairman of the flagship mobile WiMAX operator, working alongside cellular pioneer Craig McCaw. The change at the Clearwire helm comes only days after Wolff outlined ambitious plans for the operator to cover 120 million people with its US WiMAX network by the end of 2010. The thinking seems to be that as Clearwire moves into an expansionist and operational phase, Morrow, 49, is better suited to the task than Wolff, who has gained a reputation as an effective dealmaker. As co-chairman, Wolff is to focus on Clearwire’s strategic and financing opportunities. Morrow arrives at Clearwire at a critical time for the WiMAX industry, which is looking to the US operator to make an impact in the fixed and mobile broadband markets ahead of Verizon’s projected commercial launch of rival ‘4G’ technology LTE next year. While Intel, Google and three US cable companies injected a total of $3.2bn capital in exchange for Clearwire equity last year at a cost of $17 per share, Clearwire’s share price as of end of trading Monday stood at $2.93, but was up nearly four per cent on the day.